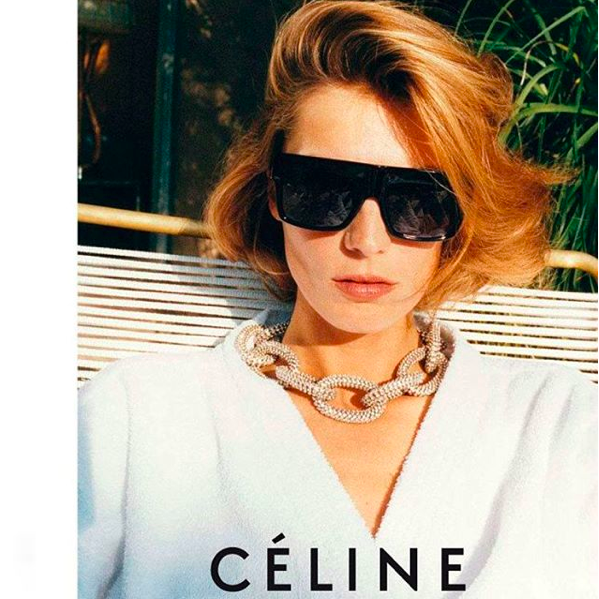 Céline is goals, and Daria Werbowy proves it rocking the 2013 sumer sunglasses collection in a super summer glam shot by Juergen Teller. Everything about the look is a fashion statement: the pave necklace, the white robe and the sunglasses. Hair is a must for an over the top glamour.